This is a gated and guarded small community, consisting of 98 townhouses. 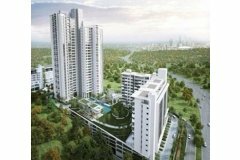 It is situated on the edge of the Kota Damansara Community Forest on a quiet residential hillside. The houses are are beautifully designed with importance placed on space, practicality and flexibility, allowing for recreation of spaces to meet future needs. The use of light and outdoor living provides not only a home but a lifestyle. Located on 19.72 acres with an exclusive 6.5 acre private forest park. 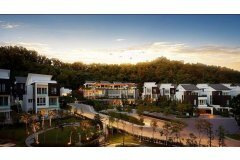 Sunway Rymba Hills comprises of 80, 3 storey forest villas. 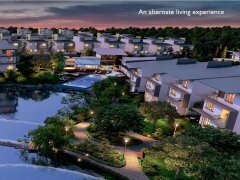 This development has a provisional green home BCA green mark gold award certification. Each villa has ecological design features. The development comes complete with a clubhouse for the Sunway Rymba Hills community. Title Lot : 15283 Section 21 Bandar Hulu Kelang1 Daerah Gombak,Selangor. Gravitas, as defined means, dignified and serious. Just the sort of place you would want to operate your business from. Here is an opportunity to develop your business to include all aspects on site: Factory, Warehousing, Office and Showroom; a facility that allows you the flexibility to customize the space to suit your needs. An ideal location and size for SME businesses within an established business address. Well positioned for ease of access to Port Klang, KLIA, KLCC via the major highways and expressways, as well as being close enough to banking and F&B outlets, completing a functional and convenient location. There are 49 units in total. Each unit has factory, warehouse, office and showroom. Indicative Build Up Area: 5,010 sq. ft.
Indicative Build Up Area: 5928 sq. 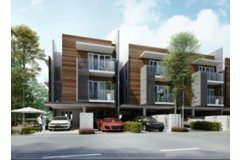 ft.
Nadi Bangsar is located on Jalan Tandok, Bangsar (Off Jalan Maarof), within walking distance to Bangsar LRT Station and Bangsar Village I & II and only a short drive to Mid Valley City, KL Sentral & Brickfields. Prime, mature location with access via New Pantai Expressway, Federal Highway,Lebuhraya Mahameru & Kerinchi Link. This development is situated on 1.34 acres of freehold commercial title. 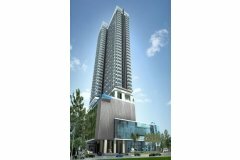 Azelia Residence is a high and low rise residential development which forms part of TA Global Berhad’s Damansara Avenue. 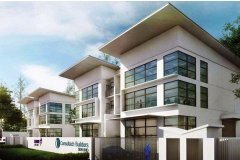 A 48-acre mixed commercial and residential development over 7 acres of prime freehold land in Bandar Sri Damansara . The concept for Azelia Residence is modern urban living amid a green environment, complemented with recreational facilities and convenient lifestyle amenities. This all-round development is made to cater to the needs and activities of residents of various age groups.